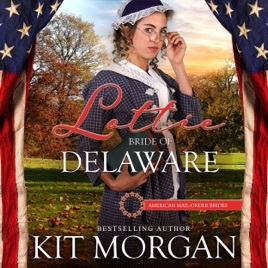 Lottie: Bride of Delaware is the first book in the unprecedented 50-book American Mail-Order Brides series! Sam Cooke gave up the notion of finding anyone from Clear Creek to marry. What available women there were, were either too young or too old, and heaven help him if his mother, Belle Cooke, got his matchmaking Aunt Sadie to help find him a bride. No, some things a man had to do on his own. But when he travels east on business to fetch his mail-order bride, little did he know what sort of hi-jinx awaited him on the journey home with her!